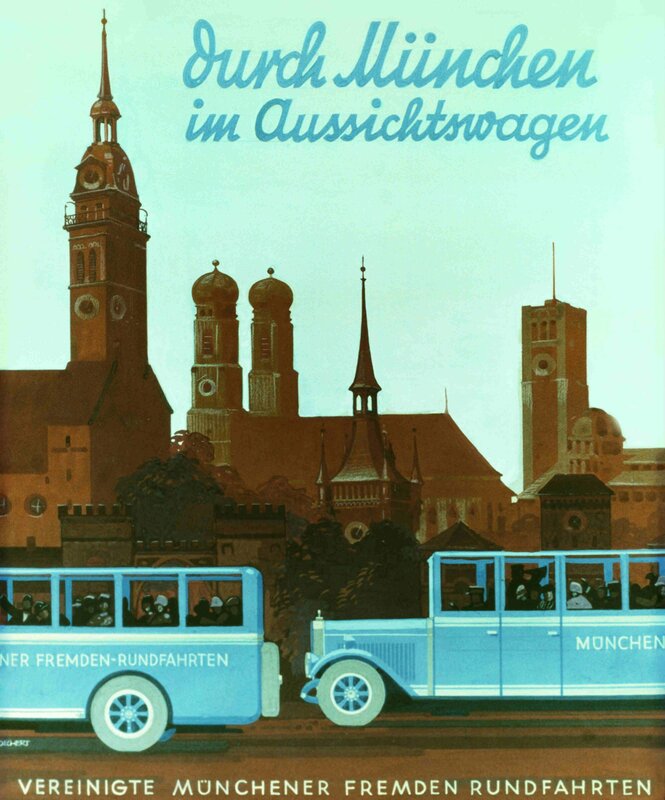 Autobus Oberbayern, based in Munich, is one of the largest bus and coach operators in Germany. 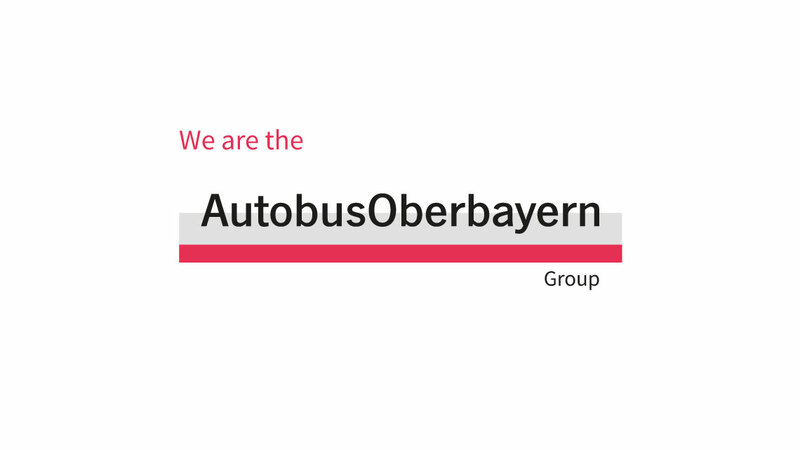 As a member of the Autobus Oberbayern Group with a total of about 750 employees and more than 280 vehicles in its fleet, we offer nearly the entire spectrum of passenger transport options. 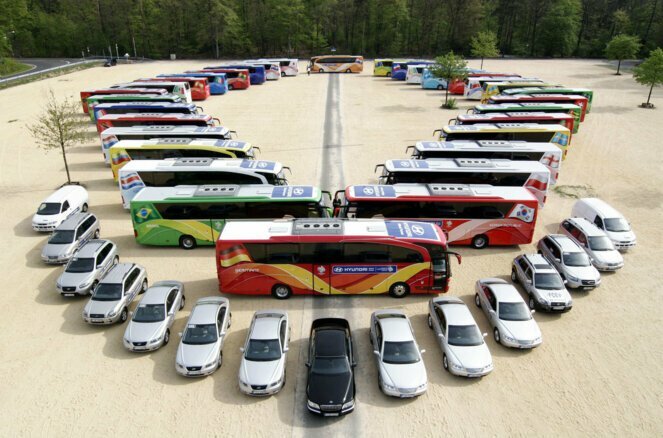 In addition to city, charter and special bus and coach services , Autobus Oberbayern is also an expert in transport logistics for major events. 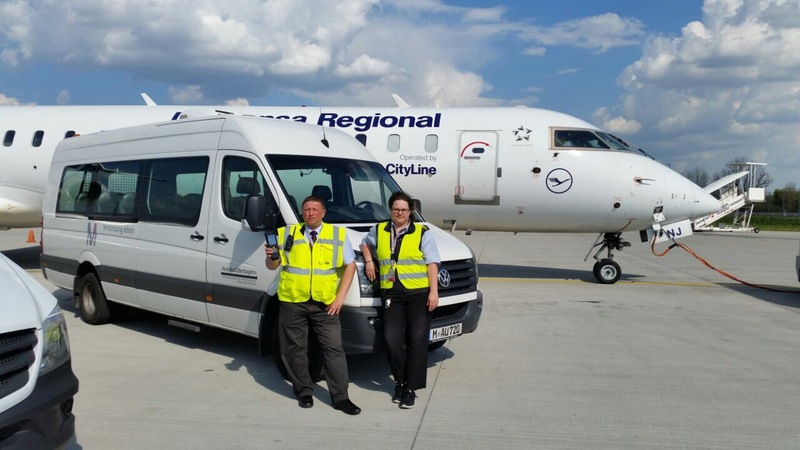 With our numerous vehicles, we operate scheduled bus services, including public transport connections in the urban area of Munich, regional travel routes and long-distance routes. We are strongly committed to providing reliable and safe services to the complete satisfaction of our clients and passengers. 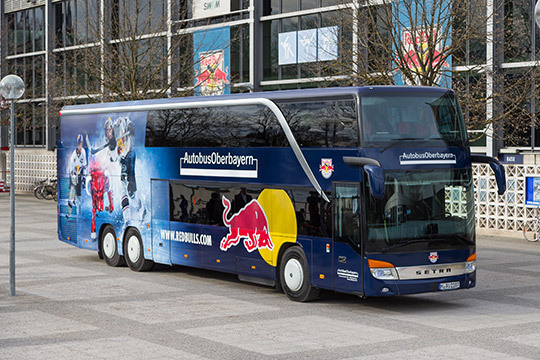 Autobus Oberbayern is the travel partner of the two most successful Munich sports clubs: the FC Bayern München and the EHC Red Bull München. Autobus Oberbayern has been an expert in passenger accommodation for more than 125 years. 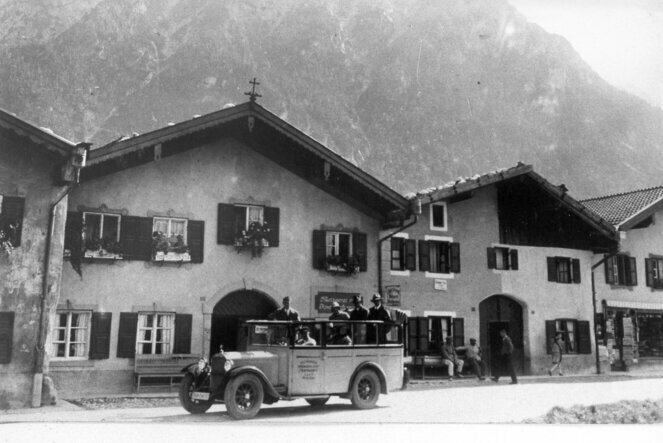 The company is now in its fourth generation of operation by the Schoenecker and Holzmair families. 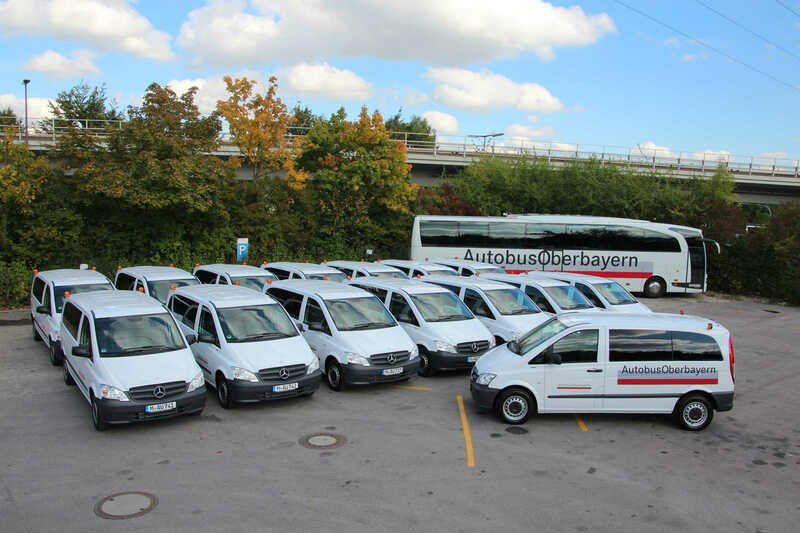 With a fleet of over 50 minibuses, we are on the road for our customers throughout Bavaria. 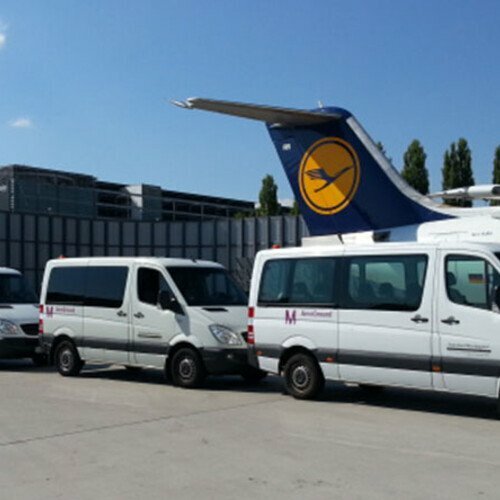 Autobus Oberbayern is an integral part of the ground handling services at Munich Airport. 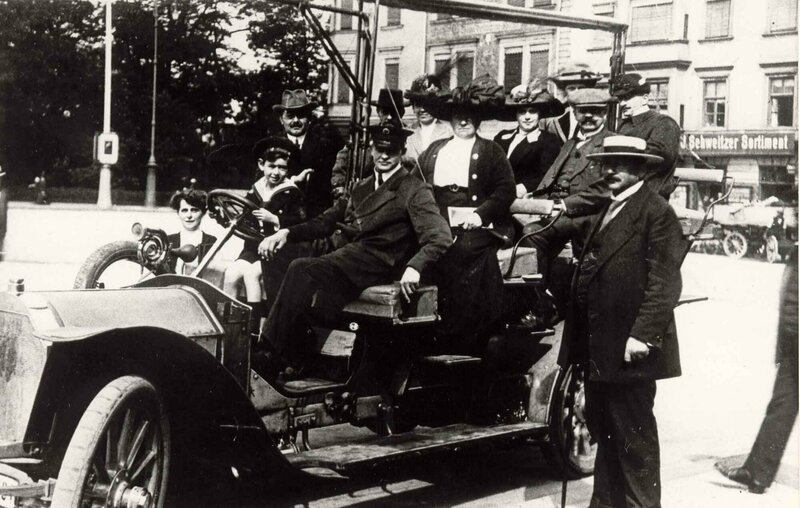 In 1890, all started with city tours and excursions aboard a horse-drawn carriage. 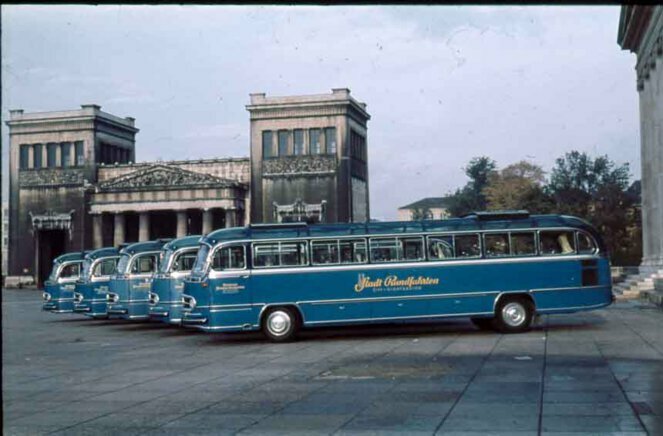 Today sightseeing tours are still an important part of the services of the Autobus Oberbayern Group. We operate sightseeing tours with open-top double decker buses in both Munich and Frankfurt. As one of the most important partners of the “Münchner Verkehrsgesellschaft (MVG)“ Company, which runs the Munich public transport network, we are involved in the coordination and operation of the city’s scheduled bus services, both in the urban area and in the surroundings. Our buses are running on numerous routes within the public transport network. 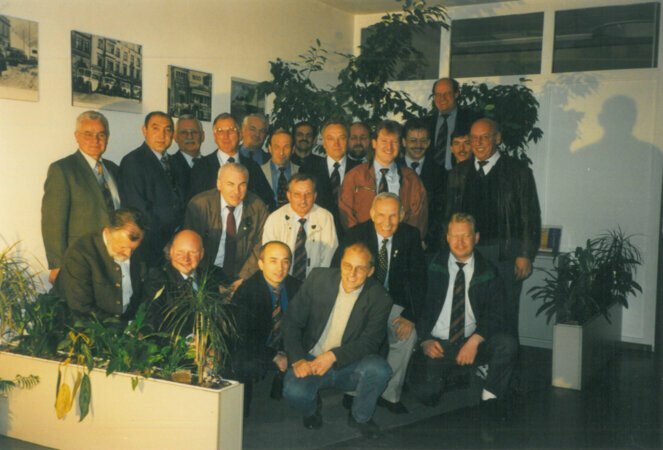 The successful partnership between Autobus Oberbayern and the “MVG” has existed for several decades. 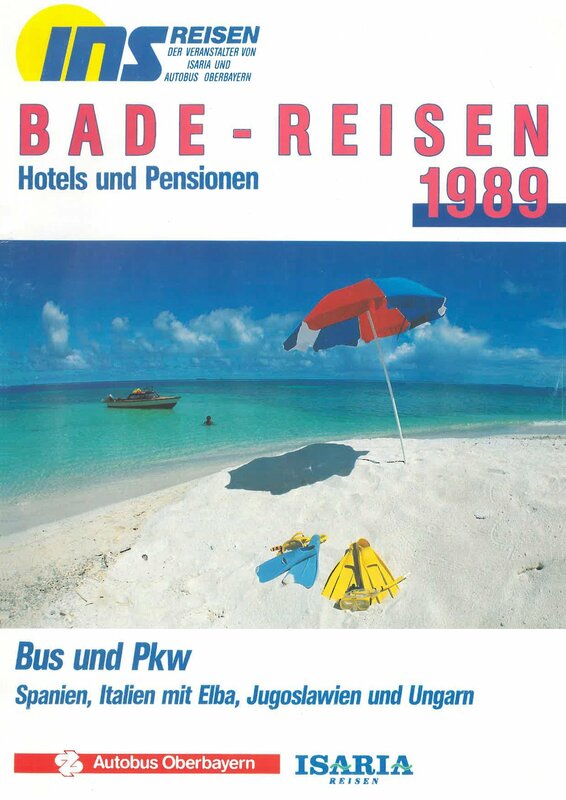 Autobus Oberbayern is running bus lines at Lake “Tegernsee” as a partner of the “Regionalverkehr Oberbayern GmbH (RVO)” Public Transport Company. 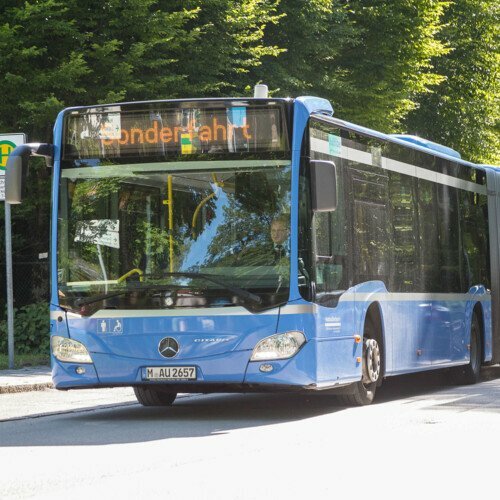 On behalf of the “RVO“, we are operating scheduled bus services in the area of Lake “Tegernsee” and thereby connecting the towns and villages of the region. The punctual and reliable services and the high safety standards of Autobus Oberbayern benefit both the local population and visitors. 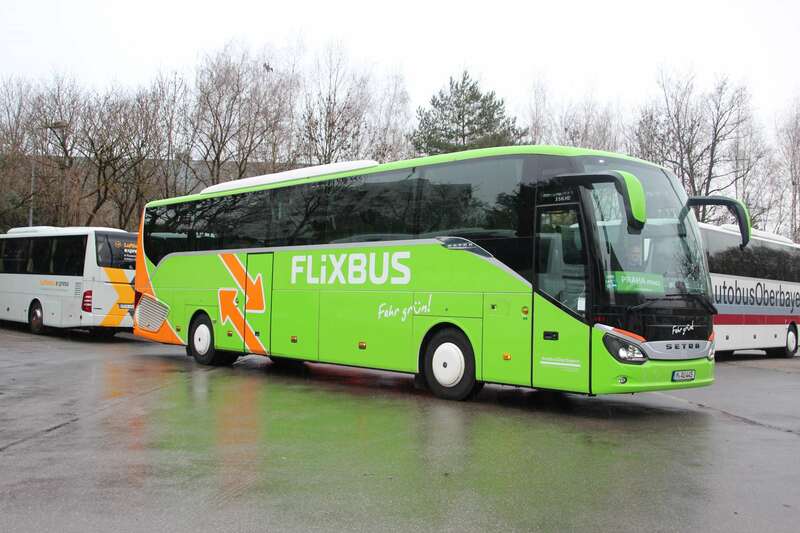 Autobus Oberbayern operates the long-distance route from Munich to Prague and vice versa on behalf of the Flixbus Operator. 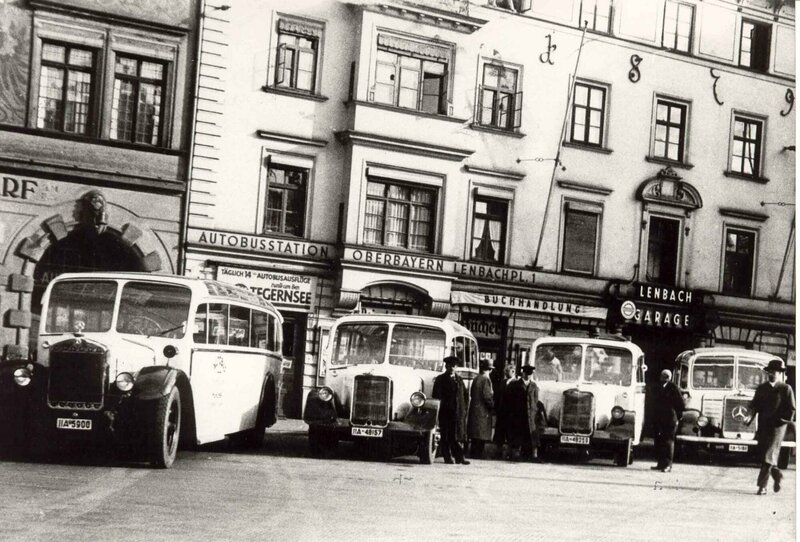 Daily, five buses run on the route, seven days a week. The FC Bayern München is one of the most famous and prestigious sports clubs in the world. 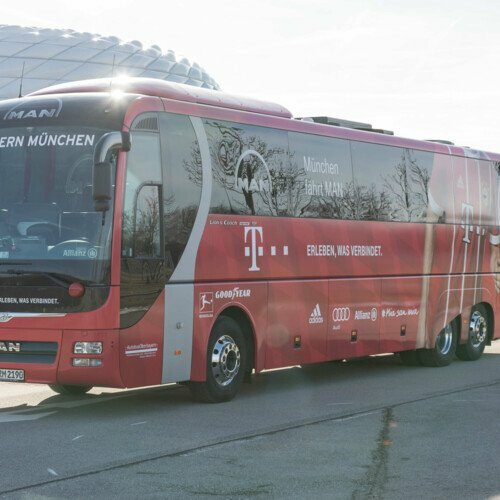 With our five exclusive buses, we take the football teams in a safe and comfortable manner to the Premier League, Federations Cup and Champions League matches. We also carry the women’s football team and the youth teams. 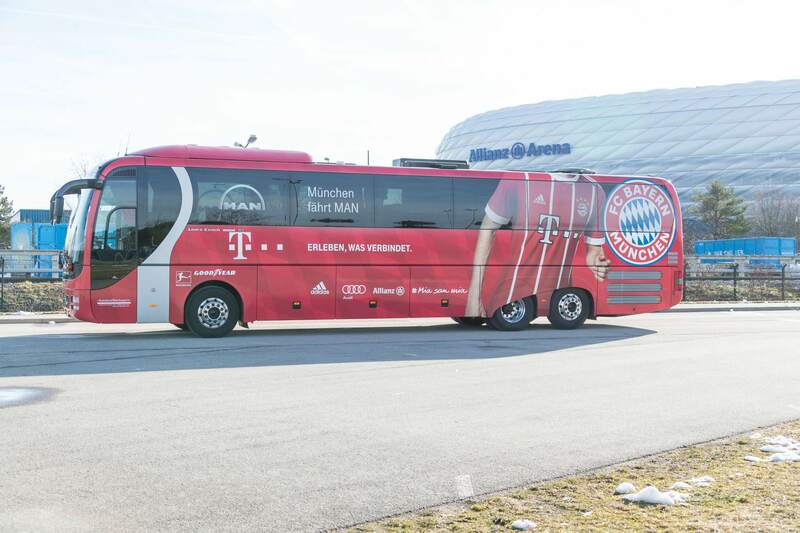 The basketball team of the FC Bayern München also travels aboard our team buses. We provide two special coaches for the transport of the basketball Teams. The EHC Red Bull München is one of the top teams of the German ice hockey premier league (DEL). 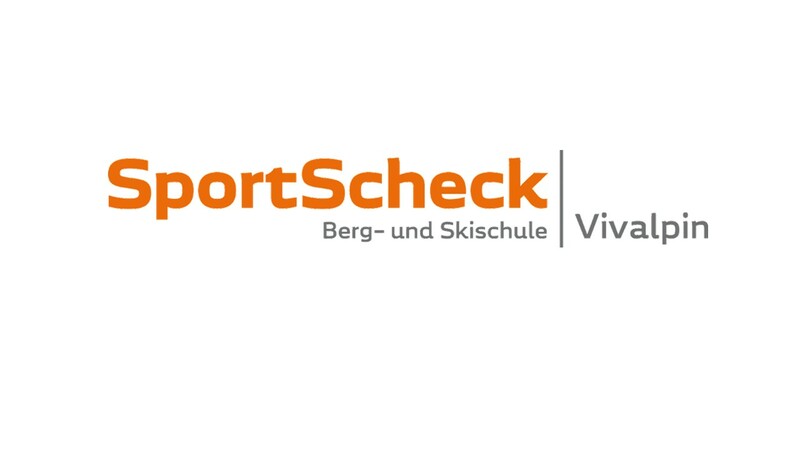 We are official transport partner of the incumbent German ice hockey Champion. Safety, reliability and first-class service characterise Autobus Oberbayern in the field of student transport. 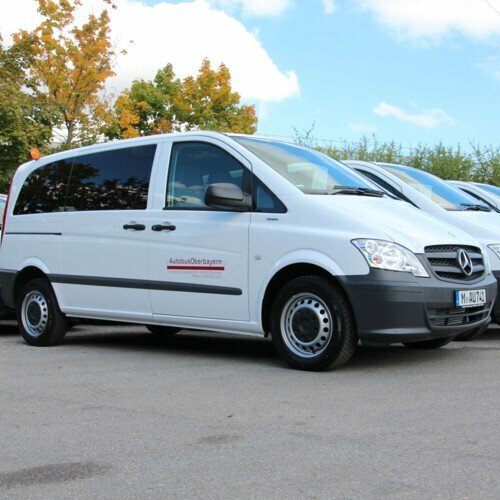 With our minibuses with 8 to 15 seats, we bring children and teenagers on time to kindergartens, schools and other educational institutions in and around Munich. We attach particular importance to the individual route planning and personal support from our experienced experts. 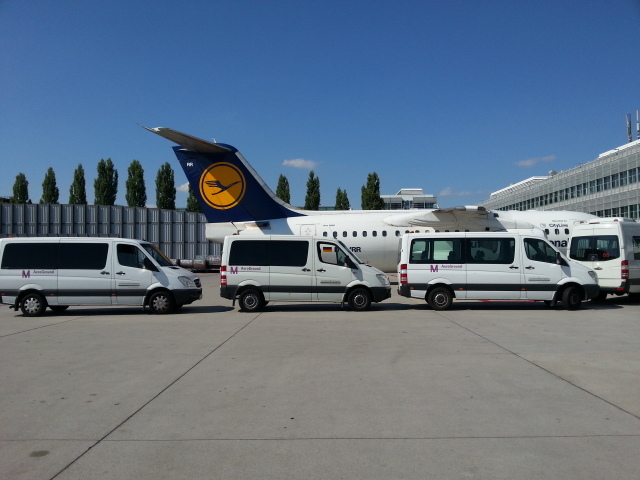 Our minibuses carry airline crews or staff in a safe and timely manner from Munich Airport to the hotel and vice versa or to training establishments near the airport. We take the passengers directly from the airplane across the apron to their connecting flight with our special “Ramp Direct Service (RDS)”, notably in the event of a short connection time. This special service allows travellers to get to the connecting flight without passing through the terminal in the event of a delay and thereby catch safely the connecting flight without further delays. This is a unique service in Europe, which is only provided at the airports in Munich and Frankfurt. 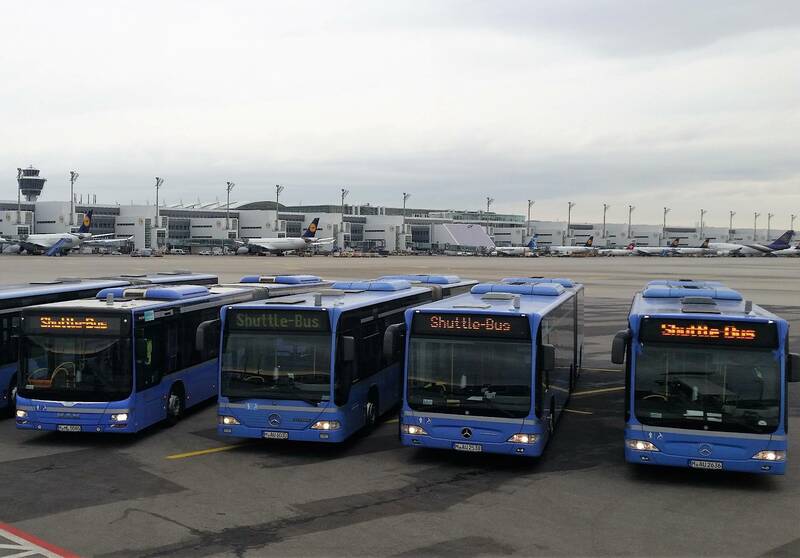 Autobus Oberbayern is an integral part of the ground handling services at Munich Airport. On behalf of the handling subsidiary AeroGround, we bring passengers safely and reliably to aircraft in outlying positions without a passenger boarding bridge. 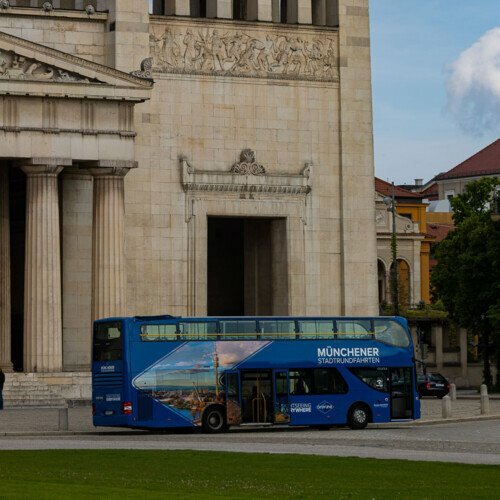 The sightseeing tours operated by our “Münchener Stadtrundfahrten“ subsidiary are a hassle-free and relaxed way to discover the visitor attractions of the Bavarian capital. 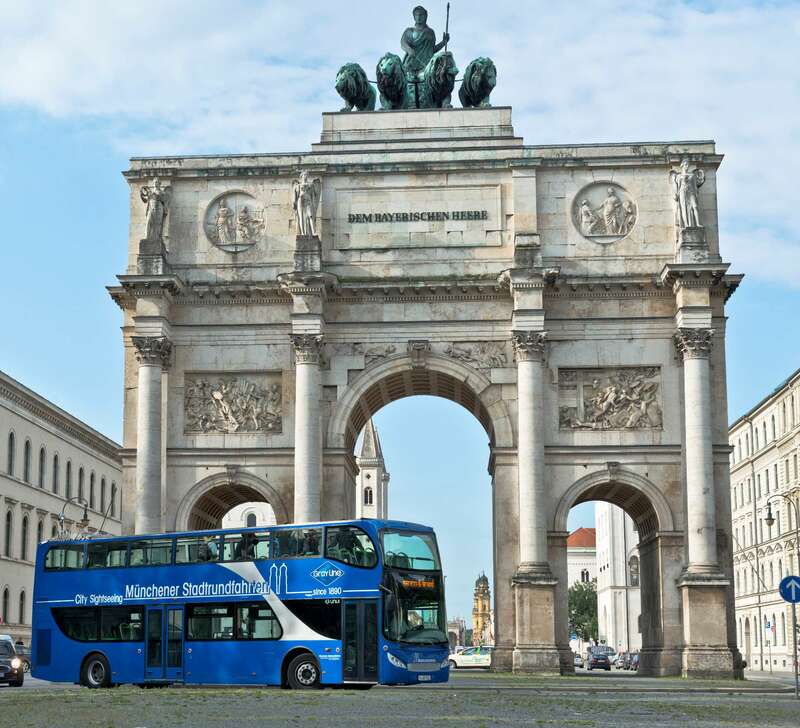 Take advantage of our “Hop On - Hop Off” services to explore Munich individually and leisurely travelling aboard our blue open-top double decker buses. 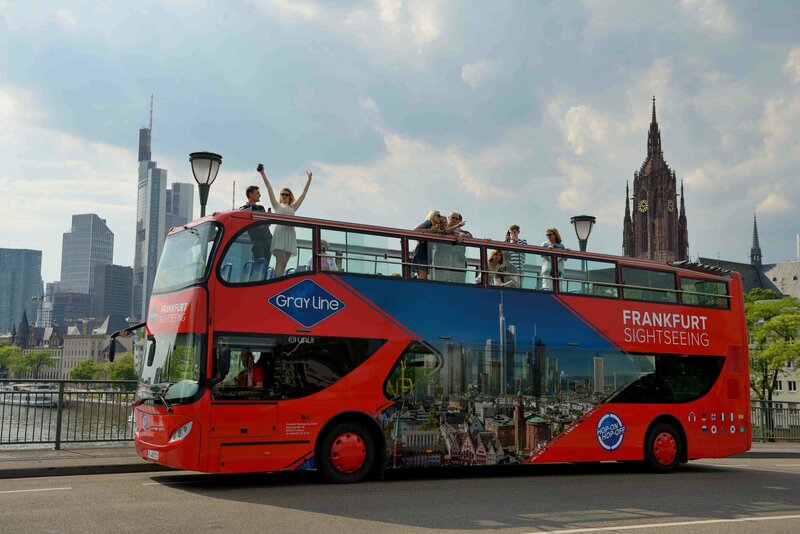 Explore the city of Frankfurt with the “Frankfurt Sightseeing” City Tour Operator: hop aboard our buses to discover the highlights of the Maine metropolis. Thanks to our flexible “Hop On - Hop Off” services, you can get off and jump on our buses at 16 stops to explore the places you are particularly interested in. On your sightseeing tour, you will always travel aboard our comfortable open-top double decker buses. 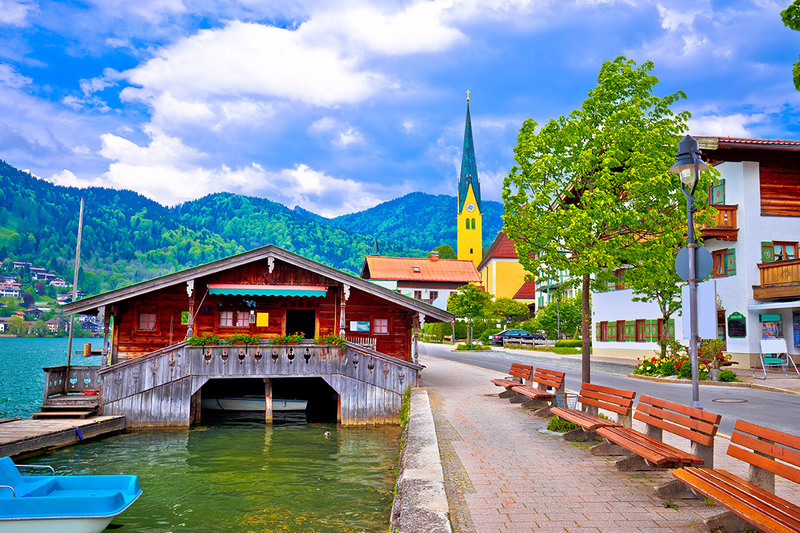 Discover the most famous sites in Bavaria and Austria booking a day trip departing from Munich. You can choose your favourite destination from a wide range of tours. 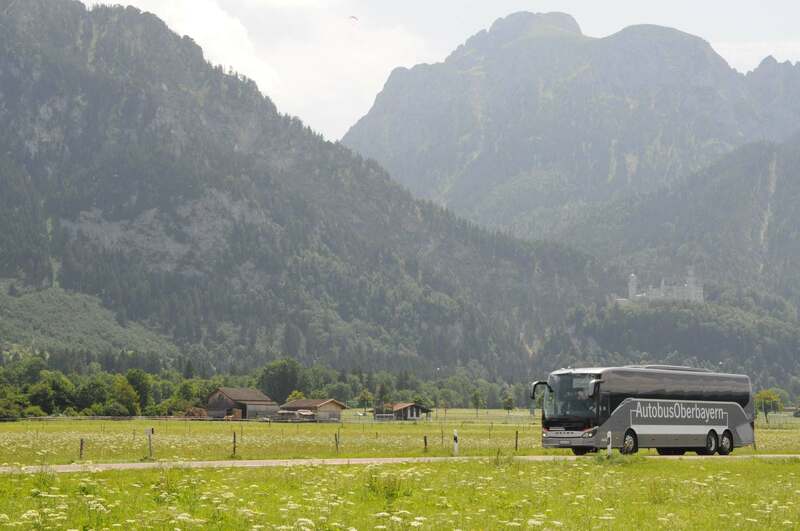 Step on board of one of our coaches to explore the Alpine foothills or to visit the “Neuschwanstein” Castle, among many other options. Starting from our site in the “Tegernseer Tal” Valley, you can enjoy amazing exploration tours. Discover the most beautiful spots in Bavaria, Austria and Italy. 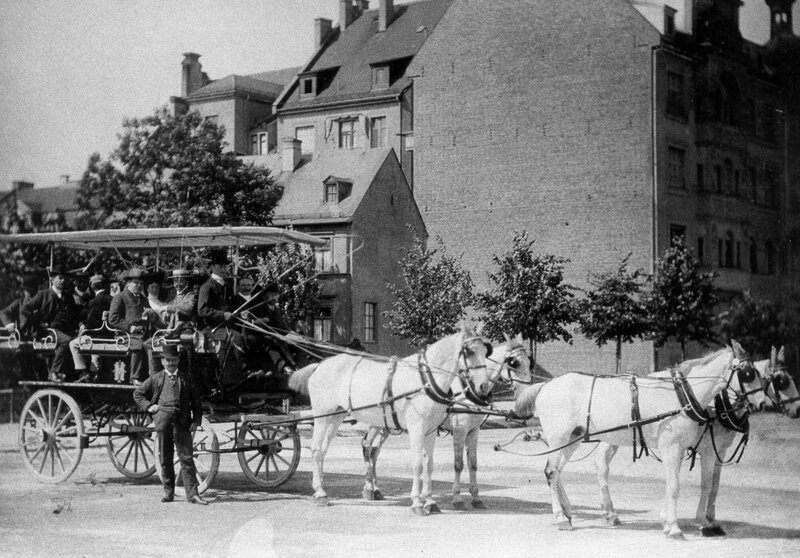 Matthias Holzmair starts to provide city tours and trips to the surroundings with his horse-drawn carriage business. Rudolf Schoenecker operates the first motorised vehicle for city tours. From rivals to partners: Rudolf Schoenecker and Matthias Holzmair team up to found the "Vereinigte Münchener Fremden Rundfahrten" transport company. Rudolf Schoenecker and Max Holzmair establish the "Motorwagen-Gesellschaft Oberbayern": The birth of Autobus Oberbayern. Tourism is booming, the "Nord-Süd" travel agency is founded. It operates coach, rail and boat journeys. 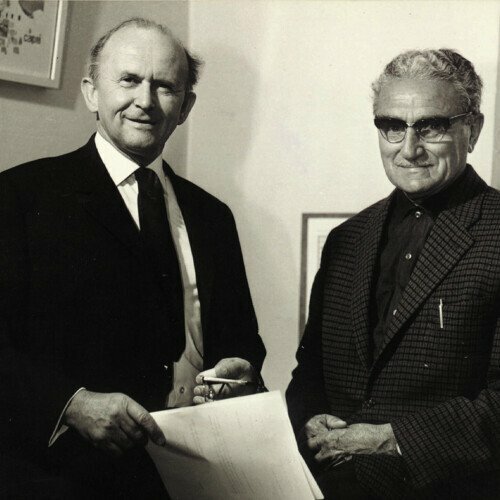 The business, which was dismantled during war, is redeveloped by Rudolf Schoenecker and Max Holzmair. Launch of "INS Reisen", a Joint tour Operator of Autobus Oberbayern and ISARIA Reisen. Autobus Oberbayern takes over the coach operator "Schranner". 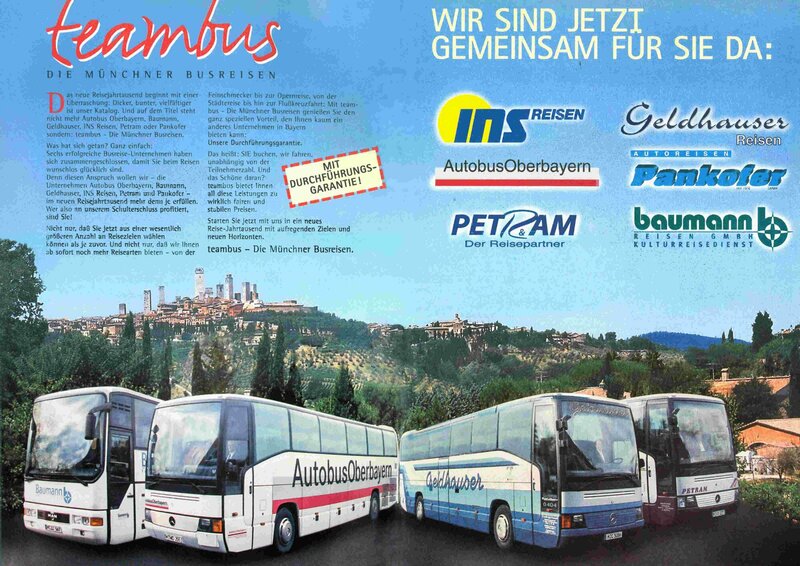 With five other coach operators Autobus Oberbayern founds the coach tour operator "teambus - Die Münchner Busreisen". 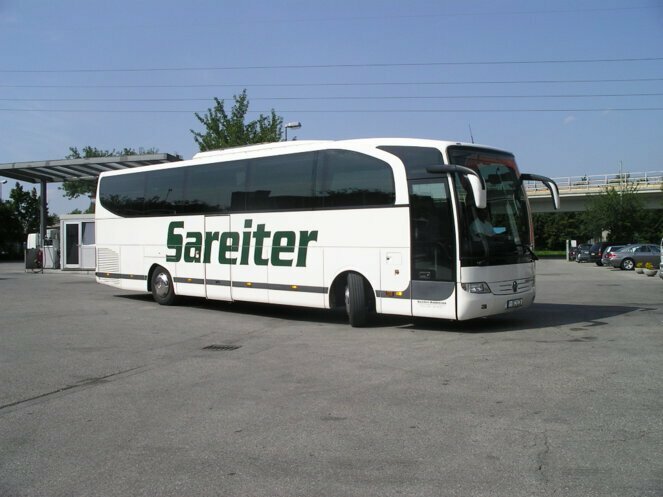 Due to the acquisition of the long-established company "Sareiter Busbetrieb" in Bad Wiessee, Autobus Oberbayern is also represented in the Tegernsee valley. Autobus Oberbayern and Baumann Busbetrieb take over the Munich Division of "Kraftverkehr Südbayern GmbH". 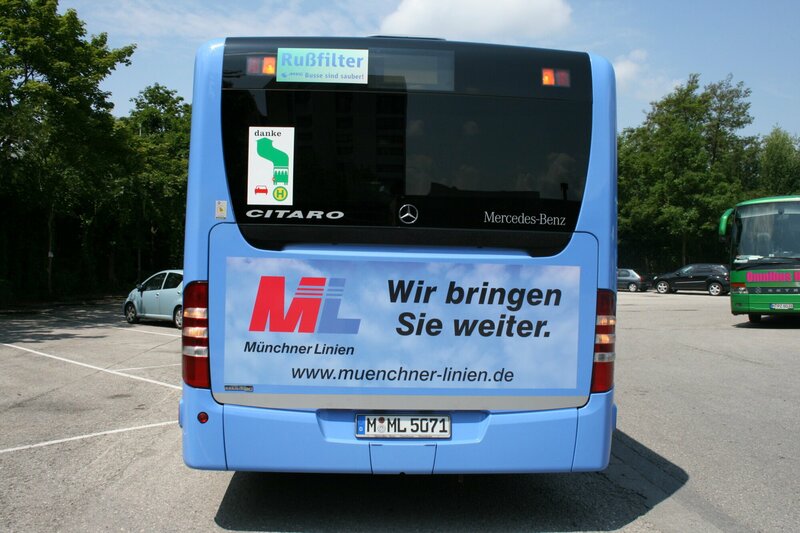 Today, the company operates as "Busverkehr Südbayern" in regional public transport in and around Munich. Autobus Oberbayern founds the subsidiary "BUSKON" on the occasion of the World Cup in Germany. The company, which specializes in highly complex transport projects, undertakes the transport of teams and supervisors during the event. The "Münchner Linien GmbH und Co. KG" is founded. 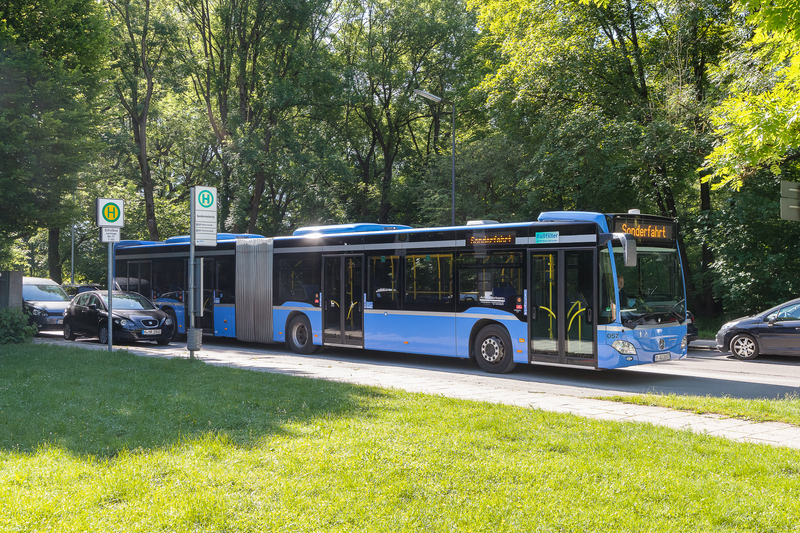 The joint venture company between Autobus Oberbayern and Stadtwerke München (SWM) ist one of the most important co-operation partners of the Munich Transport Corporation (MVG). Autobus Oberbayern takes over the Munich based "VBR - Verkehrsbetriebe und Servicegesellschaft" coach operator. The former provider of Frankfurt City tours "Yellow Cab" joins the Autobus Oberbayern Group, now named "Frankfurt Sightseeing GmbH".